Light, durable and functional: these are the qualities that make aluminium one of the key engineering materials for various applications. We can find aluminium in the homes we live in, in the automobiles we drive, in the trains and aeroplanes that take us across long distances, in themobile phones and computers we use on a daily basis, in the shelves inside our fridges and in modern interior designs, but a mere 200 years ago very little was known about this metal. Aluminum is one of the main material type used in casting, which is called “Cast Aluminum”. Cast aluminum is a specific metal that has gone through one of the several processes known as casting. Essentially, it is created when methods such as die casting, mold casting, or sand casting are used to temper the aluminum for use in creating components for many different types of products. 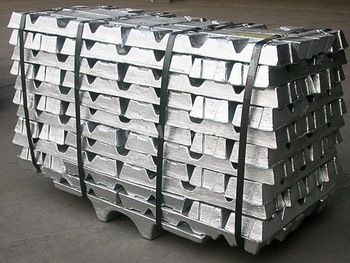 This form of aluminum is used for a number of items around the house, as well as machinery and other products that are necessary to the manufacturing of a wide range of goods and services. Here we list out the reasons why use aluminum for casting? Second, aluminum castings allow producers to manufacture parts at an extremely higher and faster rate than other alloy materials. Aluminum die casting can also achieve near net shape so the process of machining can be eliminated to produce finished parts. Third, aluminum castings have the strength of steel but very lightweight. The appearance and aesthetic value of aluminum parts are also superior to other metal alloys. However, aluminum die cast parts are cheaper so end consumers can get high quality metal products at very affordable prices. Lastly, castings made from aluminum are versatile, corrosion resistant, and can be used for different purposes. These qualities allow manufacturers to produce multiple products using aluminum parts. The finished products also have longer lifetimes thus giving consumers more value for their money. Like steel investment casting, investment casting is one of the main process for manufacturing aluminum components. We call this type of investment castings as aluminum investment casting. CFS foundry has the capabilities of producing aluminum investment castings with an exceptional surface finish and high precision. We have a reputation as a premier aluminum investment casting foundry. 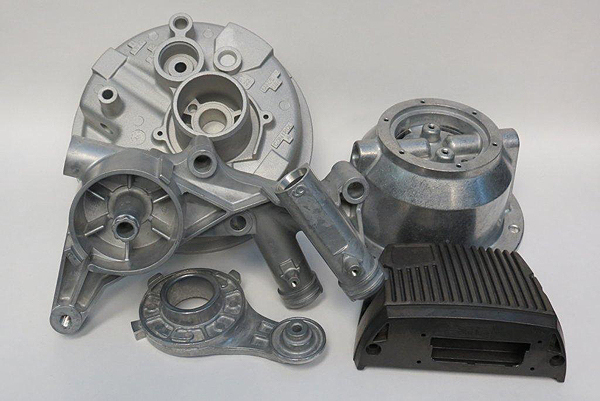 All of our aluminum alloy castings are produced by the use of aluminum die casting or gravity casting processes. We can produce intricate detail that many other foundries are unable to produce. Molds of aluminum investment casting molds are built exclusively by CNC machining with the best mould material. With capabilities of a few grams up to 30 pounds, we produce aluminum investment castings for many industries and overseas companies. A356 is a 7Si-0.3 Mg alloy with 0.2 Fe (max) and 0.10 Zn (max). The T6 heat treatment is a solution-anneal heat treat followed by a 320F aging. Alloy A356 has greater elongation, higher strength and considerably higher ductility than Alloy 356. This type of aluminum alloy can be produced in both die casting and gravity casting. Typical applications are airframe castings, machine parts, truck chassis parts, aircraft and missile components, and structural parts requiring high strength. The A380 alloy is a common aluminum die casting alloy. It has exceptional mechanical properties and is used in hundreds of applications such as air brake castings, gear cases, and air-cooled cylinder heads. Fluidity, pressure tightness, and resistance to hot cracking are just some of the A380 aluminum properties that are ideal for die-casting. Due to these properties, this 380 aluminum is extremely workable and machine friendly for cutting or shaping processes. It also has excellent finish characteristics so your final product will look and feel like top quality material. Tips: When considering a surface treatment to improve the surface finish of aluminum investment castings, we do not suggest to use anodizing treatment. Due to the Si element of cast aluminum, the effect of anodizing is not good, looks a bit grey. So the general surface treatment of aluminum investment castings could be shot blasting, sand casting or powder coating.